APC Rack Access PX is a browser-accessible appliance that enables monitoring and control of access privileges. 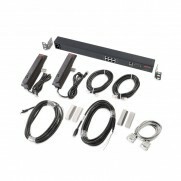 The Rack Access PX can be mounted in a 0U or 1U configuration and is designed for APC NetShelter SX enclosures. 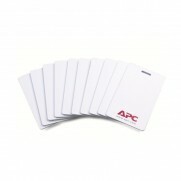 Access is granted through the use of proximity cards or a Web interface. Administrators can easily configure access control profiles for individual employees, configure scheduled access to equipment for maintenance purposes, and view audit trails. Various alarm notifications are available to indicate a compromised security state such as forced entry and door position.